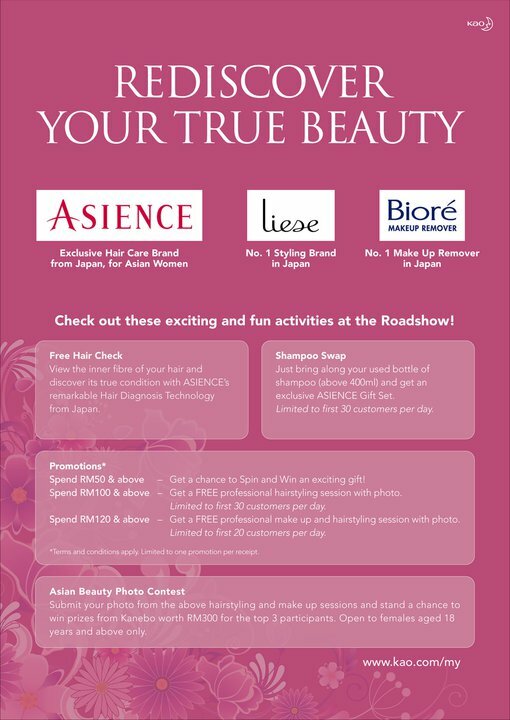 Kao Premium Beauty Brand Concourse @ Jusco Bukit Indah, JB, starts from 1st - 6th June! 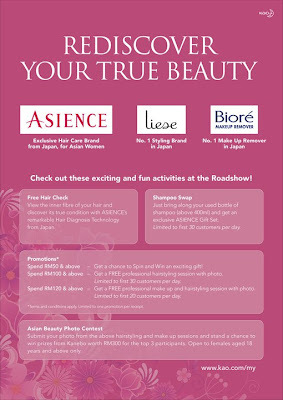 Liese is one of the brands other than Ascience and Biore!! Check out the exciting promotion! Got free hair check, shampoo swap, contest and promotion ! !